It has been two weeks since getting back from Belize, and I honestly miss being there so much. Its not just because it’s cold in New Jersey and everything is a lot less colorful, but I learned a lot while studying abroad this winter, and I got to meet some super great people. having a fun, which is something you don’t get to do a lot while you are in college, unless you have a class on the farm or work in a research lab. The instructors who taught this course, clearly loved their work; so, being a part of this program has only solidified that I would love to work with wildlife in my future career. 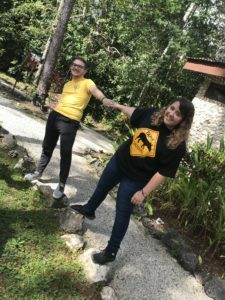 Something that I didn’t realize I would get out of this course was new friendships and a newfound appreciation for those who educate the public and those who actively participate in wildlife conservation programs in developing countries, like Belize. 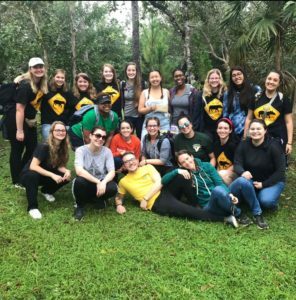 I think that this course does a great job at conveying the ideals and principles of wildlife rehabilitation and conservation, and learning about these has helped me to better understand the struggles of working with wildlife. The thing I miss most about Belize is-their hot sauce (just kidding)- but, in all seriousness I will miss the biodiversity and the the people being able to coexist with nature.